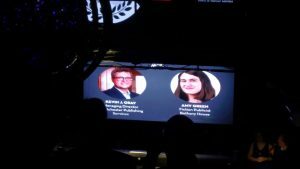 The 4th Annual Publishers Weekly Star Watch event took place in New York City on September 12, 2018. Co-hosted by Publishers Weekly and Frankfurt Buchmesse – producers of the Frankfurt Book Fair, it shines a spotlight on the contributions and innovations of people making an exceptional impact in the US or Canadian book publishing industry. 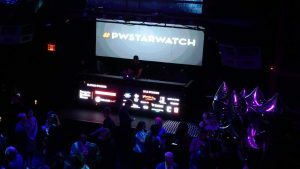 This year the nominating committee received nearly 300 individual submissions that were carefully considered and narrowed down to a field of 40 individuals receiving PW Star Watch Honoree status. We were thrilled to learn our colleague, Westchester K-12 Publishing Services Managing Director, Kevin J. Gray, was one of the finalists. The achievements and qualities Kevin displays that were integral to his selection were profiled in the September 3, 2018 edition of Publishers Weekly. Congratulations to Kevin and the entire Westchester K-12 team on earning this achievement!